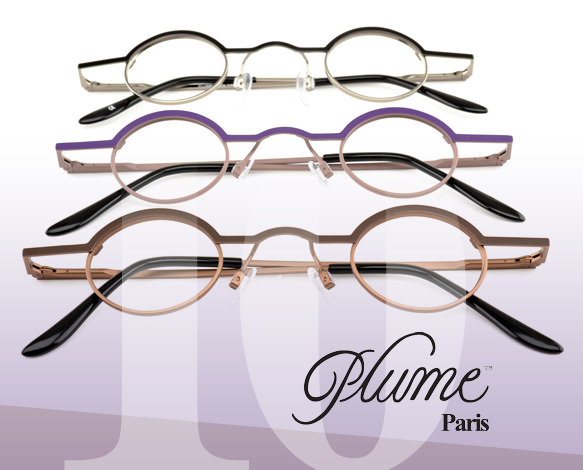 Plume Paris, known for their European styling, is celebrating the 10th anniversary of their quintessential frame called “Loop.” Standing the test of time, Loop has proven to be not only a staple frame, but also a fashionable one. Characterized by its simplicity and small, round shape, Loop features a spring-hinged stainless steel frame complemented by a two tone color scheme. To honor these specs’ success, Plume Paris is adding two new color combos to the mix: brown/chocolate and violet/amethyst. If you’re really digging Loop, or a different frame from the brand, join other Plume Paris Lovers in the “Let Love Take Over” campaign. This way, you can share pictures of yourself wearing your favorite frames along with your story. All you need to do is submit your information to love@plumeparis.com and, voilà! It’ll be posted before you know.